Being a trusted and reputed Digital Marketing Agency based in India, Radon Media Offers expert SEO services. We help your company achieve higher rankings, increase revenue, and get a constant stream of new customers with Radon Media’s customized search engine optimization services. Easiest project!! Post ads and gain money! Payout – Rs 5 per postWorkload- 7280 post per month per agent. (Compulsory)Working Days- 26Number of Agents required- 5 Work description- Copy the content of different companies and paste to different websites. Blue moon soltutions provide best and cheap SEO Service. 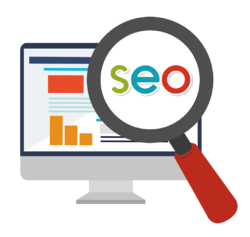 Affordable SEO service in thrissur.Our products are high quality with low prive. NIDA, is an SEO Company that offers quality Search Engine Optimization / SEO Services and Internet Marketing Solutions. Our dedicated team of SEO Professionals ensures Guaranteed Top 10 search engine ranking on Google, Yahoo and MSN.